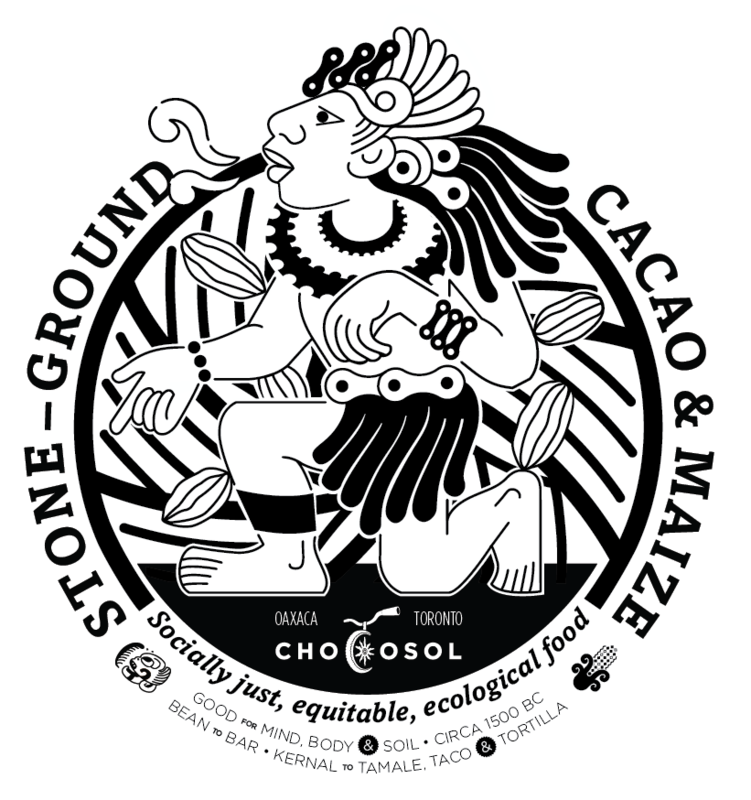 ChocoSol is a learning community social enterprise that focuses on making the ‘food of the gods’ – commonly known as cacao – into stone ground, artisanal dark chocolate. We were founded in 2004 in Oaxaca, Mexico but have been based in Toronto since 2006.Our artisan chocolate is made in Toronto using organic, forest garden, shade-grown cacao, sourced directly from Indigenous communities in Southern Mexico, and more recently the Dominican Republic and Ecuador. Our chocolates are made without dairy, gluten, soy, and nuts, and are also vegan. We specialize in both eating chocolate and drinking chocolate (xocolatl), and offer a number of other sustainably grown ingredients that are sourced directly from farmers (such as coffee, cacao beans, cacao nibs, vanilla, and spices).